The Seahawks have advanced to the championship round of NFL.com's bracket showcasing the league's top touchdown celebrations from the 2018 season. One unique celebration was selected from each of the league's 32 teams and the end-zone antics for Seattle features receivers Tyler Lockett, Doug Baldwin, David Moore, and Jaron Brown pulling off some pretty impressive choreography. Baldwin has dubbed the celebration 'the four heartbeats,' a reference to the 1991 musical drama film 'The Five Heartbeats,' and it came following a 10-yard touchdown pass to Brown from Seahawks quarterback Russell Wilson in a Week 9 home game against the Los Angeles Chargers. The Seahawks' celebration has beat out celebrations from the Los Angeles Rams (Round 1), Minnesota Vikings (Round 2), and Chicago Bears (Round 3), and now squares off in a four-team final along with celebrations from the Tennessee Titans, Kansas City Chiefs, and Green Bay Packers. Fans can vote for the Seahawks right here until January 30.  The bracket winner will be announced on February 2 at NFL Honors. Today's 'Social Post of the Day' comes from Seahawks safety Kam Chancellor, who shares an artistic photo featuring a slew of current and former Seahawks, along with their significant others. Seahawks.com's John Boyle answers questions from the 12s in his latest Twitter mailbag. A look at practice photos and fan photos from the Seahawks' time in Orlando, Fla. for the 2019 Pro Bowl. A reminder to vote for Tyler Lockett and Shaquem Griffin in this year's Seattle Sports Star of the Year awards. Bob Condotta at the Seattle Times highlights five players the Seahawks could be keeping an eye on at the Senior Bowl. 710 ESPN Seattle staff debates top offseason priorities for the Seahawks. 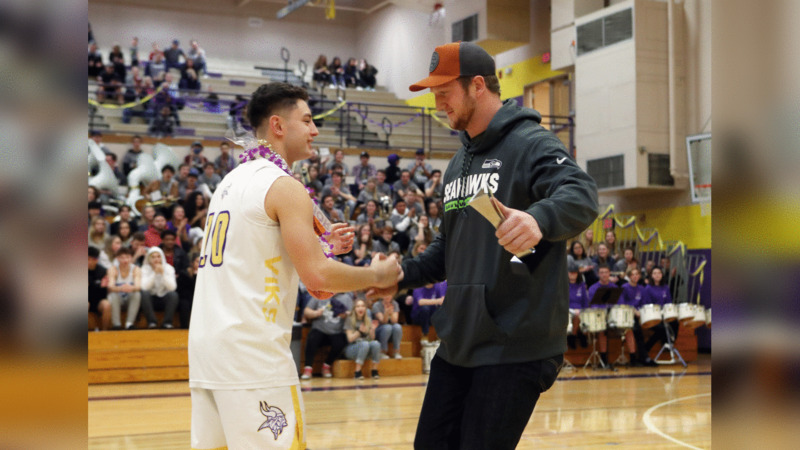 Seattle Seahawks tight end Will Dissly presented the Gatorade High School Athlete of the Year Award to Puyallup High School quarterback Jacob Holcomb on Tuesday, January 22, 2019. Dissly, who won the award in 2013 for the state of Montana, surprised Holcomb with the honor prior to his senior night basketball game.